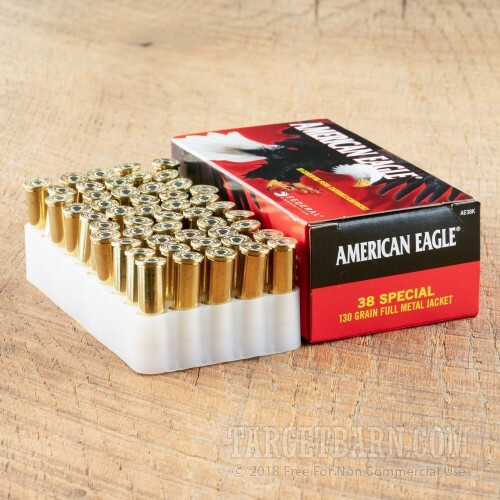 If you're planning to shoot your .38 Special (or .357 Magnum) revolver at the range, grab a few boxes of this .38 SPL ammo from Federal. 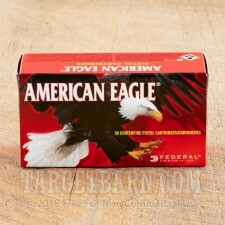 These cartridges are part of the dependable American Eagle series, which is intended for economical target shooting. Each round in this box of 50 fires a 130 grain full metal jacket bullet at 890 feet per second. 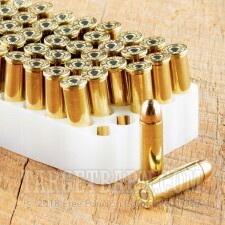 The use of an FMJ bullet rather than a lead-nosed one makes this ammo more suitable for indoor ranges, many of which prohibit LRNs. This ammo is loaded at Federal's headquarters in Anoka, Minnesota using non-corrosive Boxer primers and brass cases.